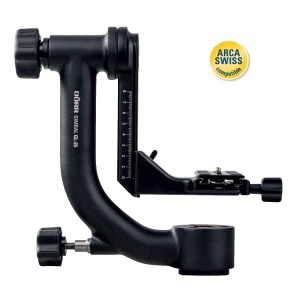 The Dorr GL-25 Gimbal Head has been designed for use with large telephoto lenses together with DSLR Cameras or Camcorders. The GL-25 is made from high-quality, anodised aluminium materials and allows smooth horizontal and vertical panning. 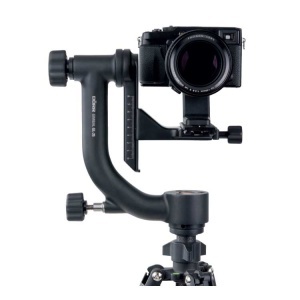 This Gimbal Head features a 1/4" attachment and 3/8" tripod socket connection, has a height-adjustable platform with scale which is vertically tiltable. Includes a 1/4" long quick release plate with long slot with safety lock - this QR plate is Arca Swiss compatible and rotates horizontally.